Sunday:10:00 – 1:00 Informal lectures on dance, croquet and games in Little Women. Croquet game outside, weather permitting, or games inside. 2:00 – 5:00 Little Women dance with German figures. Tea and refreshments served during the dance. 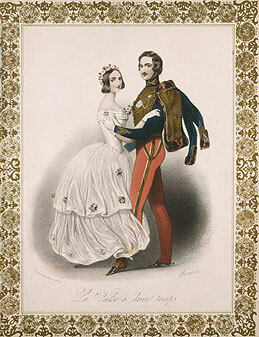 Saturday Ball: Join CVD in recreating a royal ball from Victoria and Albert’s happy years together. Step into a mid-19th century palace for an evening of elegant dancing, delightful music, and delicious refreshments fit for a Queen! 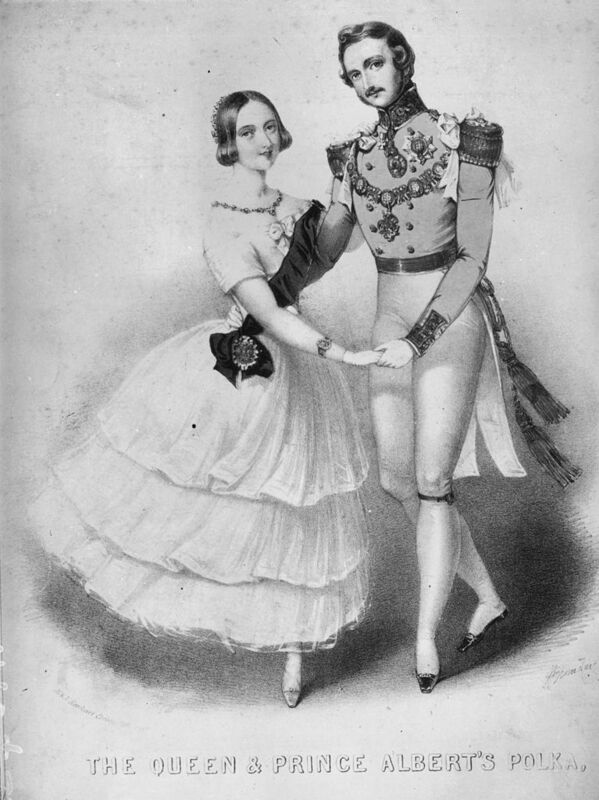 All dancing during the event will be taught, with the exception of the first quadrille of the evening which will be performed by the Royal Court. Suggested costume for the Ball: Evening dress from the years of Victoria and Albert’s marriage, 1840-1861, or modern evening dress. A black dress suit in 1840 to 1861 style is appropriate for men, though a dress military uniform or court dress would be super-extra spiffy. A ball gown from the years 1840 to 1861 is appropriate for women, and extra jewelry and tiaras would take your ensemble to the next level. If you don’t have period clothing, a dark suit for men or long skirt for women will serve you very well. Sunday Dance and Tea: Participate in some of the social activities that Louisa May Alcott and her characters would have enjoyed. Dancing will involve waltz and polka, which will be taught during the Saturday class and reviewed on Sunday. German figures involve frequent changes of partners so everyone will have a chance at the fun. 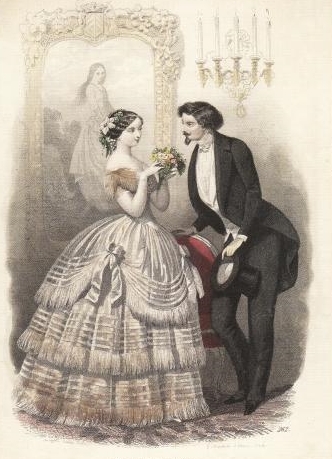 Costume for the Sunday dance : Ideal costume would be daytime dress of the 1860s for gentlemen, and daytime (long sleeves and high neck) or party (short sleeves and low neck, but simple fabrics) dress of the 1860s for ladies. Modern clothes that look comfortable and classic are also fine. Royal Court ticket holders will attend two classes in advance of the ball on October 6 & 13 at our studio in Waltham, MA. During these classes, courtiers will learn some basic ballroom dancing. They will also learn and rehearse a complete quadrille with the support of dancers from CVD. At the ball, courtiers will perform the quadrille they have practiced to earn a Royal Order. Being a courtier is supposed to be fun. We hope that our courtiers will look forward to performing at the ball. If a courtier chooses to forgo the performance for any reason we will provide a substitute to dance in their place. If you have questions about your Royal Court ticket, reach out to us at query@vintagedancers.org. If you are coming from a distance, let us know! There are many hotels within 3 miles because Holliston is near the start of the Boston Marathon. Please note: We cannot issue refunds if you cannot attend the event. Buying tickets to a ball is like buying theater tickets. If you cannot attend, the show will still go on and musicians and venue must still be paid. If this policy is a problem for you, please email query@vintagedancers.org within 48 hours of registration to back out of this agreement.